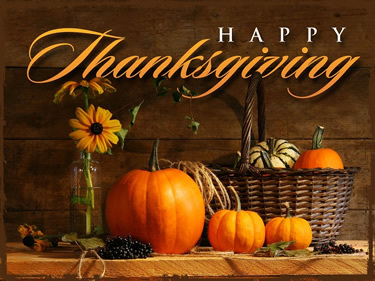 Evans Roofing November 2017 - Happy Thanksgiving ! The average weight of turkeys purchased for Thanksgiving is 16 pounds, meaning that approximately 736 million pounds of turkey were consumed in the United States during Thanksgiving in 2016. That is 46 million turkeys. 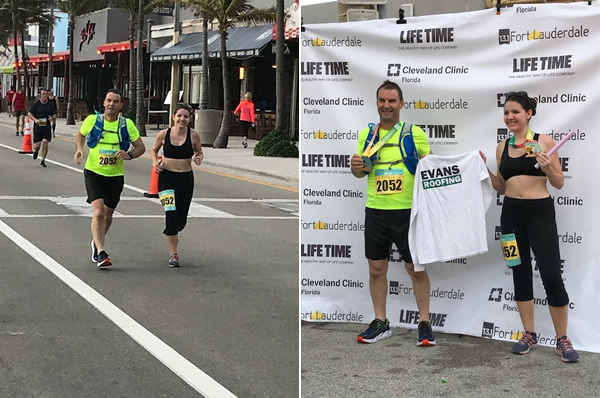 Evans Roofing president, Thierry and daughter Gaby, participated in the Half Maraton in Fort Lauderdale on November 12 2017. Results: Mixed relay 4 out of 33; Time under 1h58min; Overall relay 8 on 83. Staying in shape is a great way to stay productive, way to go Thierry & Gaby! Reviews Drawing: we have a winner! Winner of the $50 gift card drawing: Alfonzo from Dania Beach. Congratulations Alfonzo. Dont forget to leave us a review on any of our social media accounts (see links below) to be entered in our next drawing. It seems everybody wants to climb the job ladder, but no one wants to climb a ladder on the job. Right now, roughly 200,000 construction jobs sit unfilled in the United States. The demand for residential homes is far outpacing our capacity to build them. A recent survey by HomeAdvisor lays it out in bleak terms: Of the firms surveyed, 93 percent said they believed the labor shortage is standing in the way of their growth. For more information, contact us at 1 (800) 290 9291. 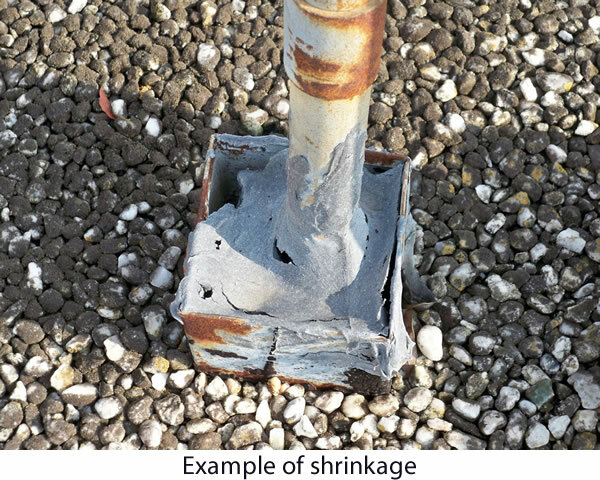 Problems with pitch pockets (a type of roof flashing used to seal penetrations) prevail on all types of roofs but are most typical on built-up or modified bitumen roofing systems. There are many reasons a pitch pocket fails: the sealer can dry out and shrink or if the structure wrapped by the pitch pocket moves or vibrates. Premature failure may be due to improper installation (e.g. incompatible materials) or lack of maintenance. Regardless of the reason, all pitch pocket problems mean leaks. Routine inspections and basic maintenance (e.g. refilling the sealer) are the best course of action to keep pitch pockets in working order. If your roof has a high volume of penetrations, you should have it inspected every three to four months. If pitch pocket metal is completely corroded, contractors will remove the existing pitch pocket, put in new metal, and clean the old solution. Lastly, theyll mix a two-part epoxy and install the new pitch pocket. Make sure your roof is sealed properly. Otherwise this can happen: unwanted and noisy guest. The roof over your head is critical to your homes overall health. 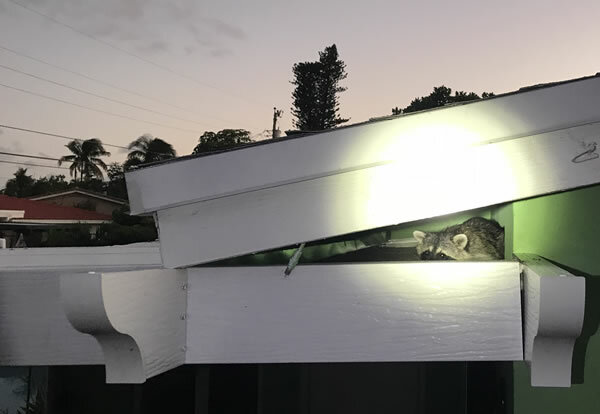 It is very important that you take care of the roofing and gutters. The regular maintenance for your roof, is the best way to avoid major roofing repairs or problems. Getting your roof inspected every few years is very important to be able to take the necessary preventive precautions against any incidents. Even if think your roof just has minimal damage, dont wait a second longer before calling Evans Roofing. Remember, a routine roofing inspection by Evans Roofing can help prevent any damage or small leaks from going unnoticed. You should clean your roof and gutter of debris every year. Debris and dirt on your roof or in your gutters may cause damaged roofing and possibly leaks. Evans Roofing can refer you to our partners. Feel free to ask us. 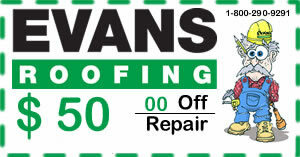 Evans Roofing have been serving the Tri County homeowners for 30 years. 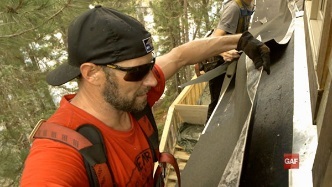 When you need help with your roofing or gutters, call us at Evans Roofing. Find a problem? Let Evans Roofing help!